Learn to shoot stunning, professional-quality photos – fast! Does it frustrate you that your photos never seem to look quite as good as you would like them to? Do you sometimes find yourself blaming your camera? If so, then we understand exactly how you feel. There’s nothing more frustrating than trying hard to get that perfect shot, only to then be disappointed that your photos have turned out dull, lifeless, average or even worse, blurry. Frustrated and disheartened, you end up feeling like a failure because your photos never seem to turn out the way you wanted them to. Until now the only ways to learn the real secrets of photography were to attend fancy photography workshops, buy an expensive home-study course or wade through hundreds of pages of padded-out manuals. The huge problem with these methods is they can be very expensive, hugely time intensive, and overwhelming. And oftentimes these methods of learning can be incredibly ineffective. So, for a beginner photographer, it simply isn’t worth the risk. If you've always wanted to learn how to take amazing photos and have all but given up… here’s hope! 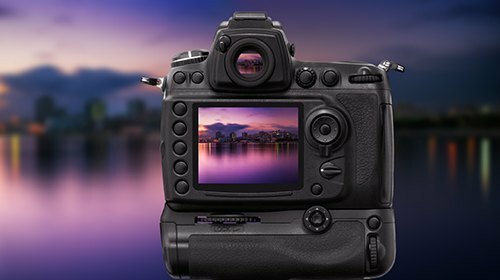 Photography Made Easy is a packed online training course, created and delivered to your screen through professional video tuition by an award-winning master photographer and passionate teacher. Since 2003, our photography tutor has helped more than 30,000 novice photographers from around the world finally master their camera and capture breathtaking, brilliant and incredibly stunning photos every time they pressed the shutter button. In ‘Photography Made Easy’, we’ll walk you through the exact steps you need to follow in order to take professional quality photographs in the shortest time possible, using the camera and equipment you already own. Whether you’re a beginner, amateur or professional and whether you own a basic compact, a smart phone or the very latest SLR camera, this course is perfect for you because it gives you the cutting-edge photography techniques you need to transform your images from dull and lifeless into stunning photographic masterpieces. "A photograph without a story is just a snap-shot. We'll show you how to tell stories with your camera"
Now what makes this course different to any other course out there is that this isn’t just a collection of ideas or principles. It’s a proven, step-by-step FORMULA created and delivered right to your screen by a qualified, experienced and award-winning professional photographer with a proven track-record of teaching others the best and quickest way to become a great photographer. During this online course, you’ll discover his most powerful photography secrets. We’ve used these proprietary training methods to teach thousands of novice photographers how to finally master their camera and take truly exceptional photo’s. As you work your way through ‘Photography Made Easy’, you will learn the camera settings and photography tips that will be used to obtain each shot we ask you to accomplish. By taking our course, you will learn in a way that will completely change the way you take photographs. Imagine being able to take magazine quality photos? With this course you will be taken through step by step just how we get them. You will be shown all the tricks of the trade. So, if you’re ready to finally master your camera and learn how to take pictures like the pro’s, using techniques David has developed from working with over 30,000 budding photographers, just click on the “Register” button below and the Photography Made Easy video training course will be available to you instantly. You’ll have lifetime access so you’ll be able to study without any pressure or restrictions. Are you ready to finally master your camera and take the photos you know you’re capable of? Like most novice photographers, you’ve probably been struggling to master your camera and take the kinds of photos you know you’re capable of for far too long. You can finally put an end to all your frustration and disappointment simply by following the step-by-step approach revealed in the Photography Made Easy online course. Just imagine being able to pick up any camera knowing that you have the knowledge and ability to capture professional standard photos at anytime, regardless of the location or situation? Imagine having access to a PRO photographer, and professional teacher as your Personal Instructor, 24/7? If you want the skills, techniques, and know-how you need to capture truly spectacular photos, the Photography Made Easy online training course can give them to you. Just click on the “Register” button below and the Photography Made Easy course will be available to you in just a few seconds from now. World-class photography training delivered instantly. Lifetime course access. No limits. No pressure! 20 professional video modules. Pause, rewind, re-watch over and over. Photography assignments (optional). Put our techniques into action. Tablet & smart phone compatible. Access anywhere, 24/7. 60-day money-back guarantee. Try the course totally risk-free. It’s the best photography course out of many that I have done. I loved the travel photography module. I will never take photos like a tourist again. Loved the course – I highly recommend it to anyone who wants to use their camera properly. I thoroughly enjoyed all the videos in the course. Everything was so easy to understand. I liked the landscape section especially when you take us on a real shoot. I really enjoyed your course and I am telling my friends to do it as well – thanks again. Such a packed course! I have been through it once, now I’m going through it again. I love this video series. It’s simple to follow and gives practical demonstrations of many of the topics covered in photography courses, camera manuals and textbooks. I liked the way that camera settings were suggested throughout most of the series. David has an easy style and knows just how to make sure that student’s understand what he is teaching. A great bible for constantly dipping in and out of and a terrific way of learning about composition. The introduction to elements was also really helpful.